First she fought, then she taught. 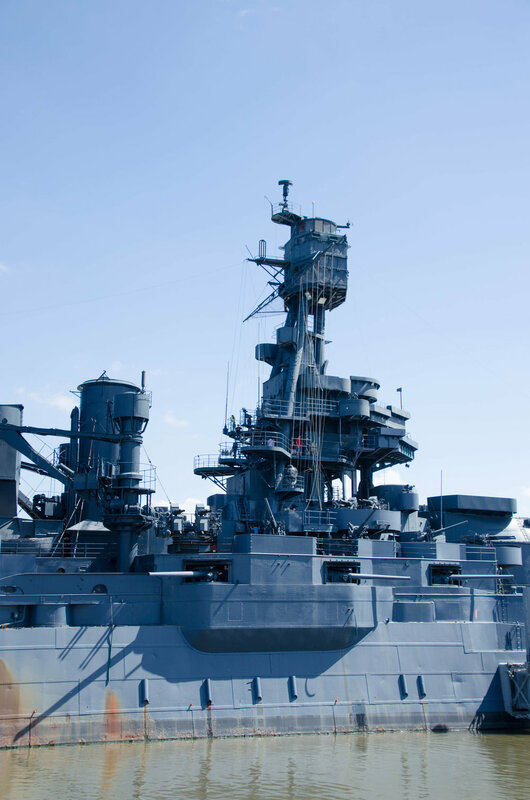 Commissioned in 1914, the USS Texas is the last remaining American battleship to have fought in both World War I and World War II. She was decommissioned in 1948, at which time the State of Texas acquired her with plans of turning her into a memorial ship. In the many years since then, she has been anchored in the Houston Ship Channel where people come to visit and learn about her former life. 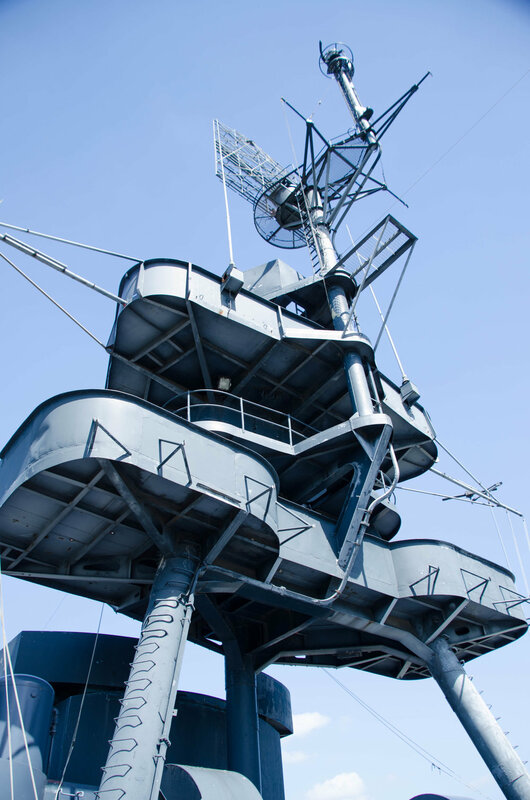 Because the ship shifted so quickly from active duty to its new life as a museum, large areas of the ship remain as they were in 1948, allowing visitors an experience that almost feels like time travel. The USS Texas was the first American navy ship to carry a contingent of marines. She was also the first to be fitted with anti-aircraft guns. In March of 1919, the USS Texas became the first American warship to launch an airplane from its deck. After her years of service came to an end, she capped her career by becoming the first American battleship converted to a permanent museum. I would encourage you to do some further research on the ship as this is not a complete list of her firsts. There is much more to the story. Just looking through the black and white pictures of her, it’s very interesting to follow the evolution of her appearance from one overhaul to the next. Keeping all the historical facts in mind when you visit will give you a much more meaningful experience. As always, watch the movie. We discovered the movie room just after stepping on to the ship. I’m very glad we did because it created an emotional link to everything we saw after. Several of the ship’s former crew members speak about their experiences in the movie. Some still make the trip to come and visit their old haunts. I can’t imagine how it must feel to walk the decks now, remembering events of so long ago. Events they remember in color, rather than the black and white images the rest of us are relegated to. Apr 5 Follow Buffalo Bayou into Downtown Houston.